Beard: 'Twitter threats have to stop' Jump to media player The classicist and TV presenter Mary Beard has spoken about the threats she has received on Twitter, which has included a bomb threat in recent days. 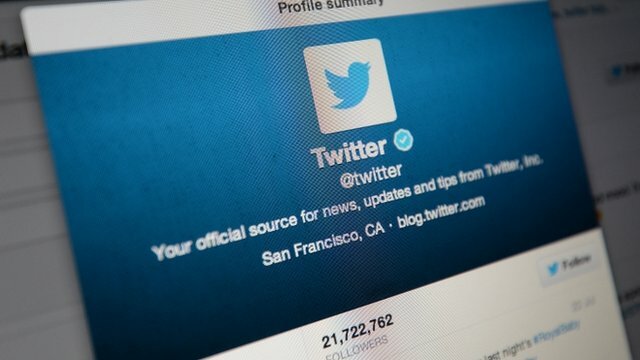 Twitter 'sorry' for abuse Jump to media player Twitter has apologised to women who have experienced abuse on the social network. 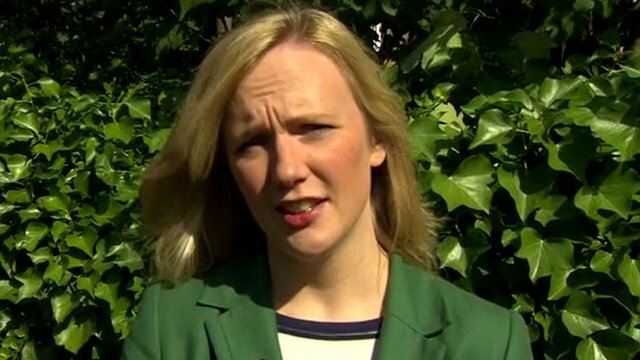 Twitter apology welcomed by MP Jump to media player Stella Creasy MP welcomes an apology by Twitter and confirmation of an in-tweet "report abuse" button on all platforms, including desktops. 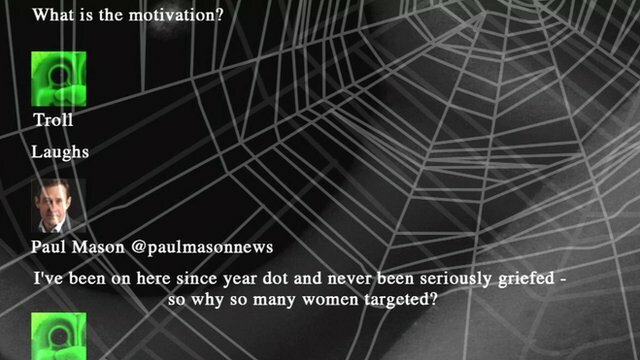 Talking to the Twitter trolls Jump to media player Newsnight's Paul Mason has been talking to the Twitter trolls, to people who have studied them, and to those trying to come up with a technical solution for dealing with them. 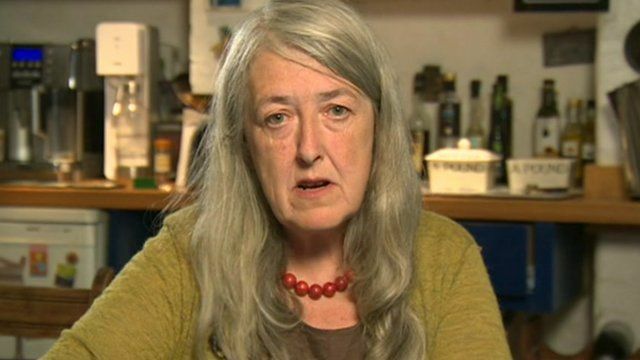 The classicist and TV presenter Mary Beard has spoken about the threats she has received on Twitter, which has included a bomb threat in recent days. Prof Beard said she had received "several" threats in the last 24 hours. She said the threats were criminal and that "all you can do is take them to the police". A number of Twitter users boycotted the site on Sunday. The boss of Twitter UK, Tony Wang, has said sorry to women who have experienced abuse on the social networking site. Prof Beard said, in the interview with BBC Breakfast, that the social networking site had been "supportive" to her "in the last 24 hours".